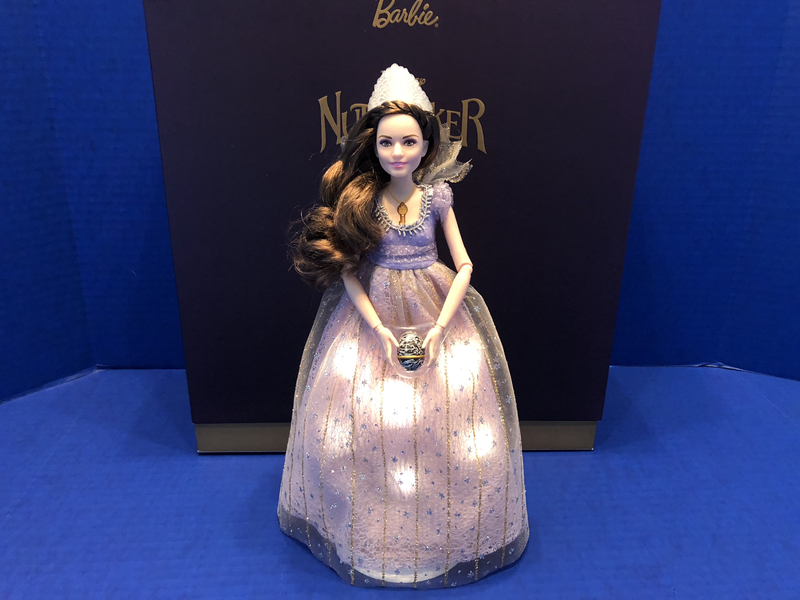 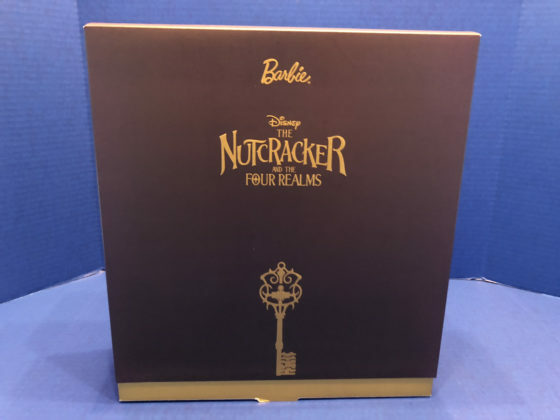 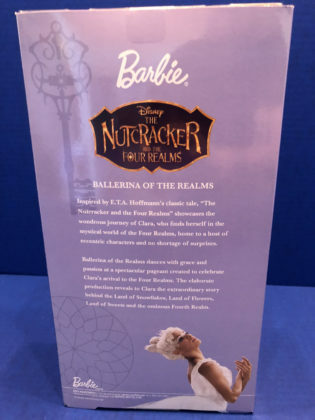 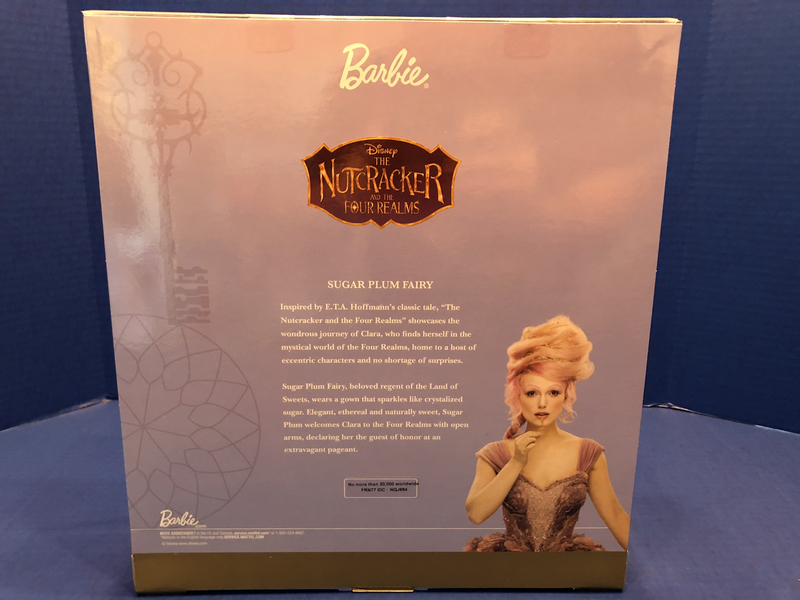 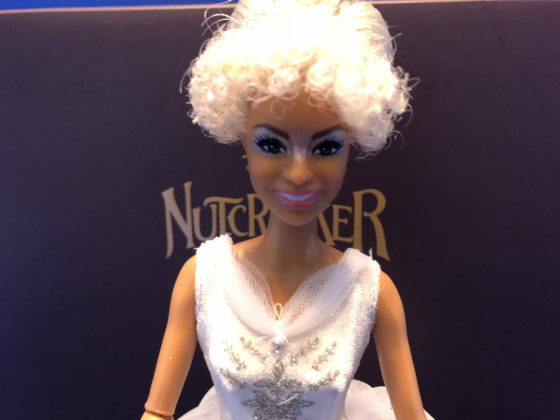 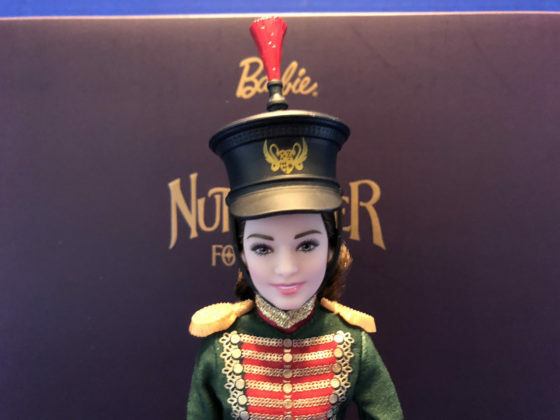 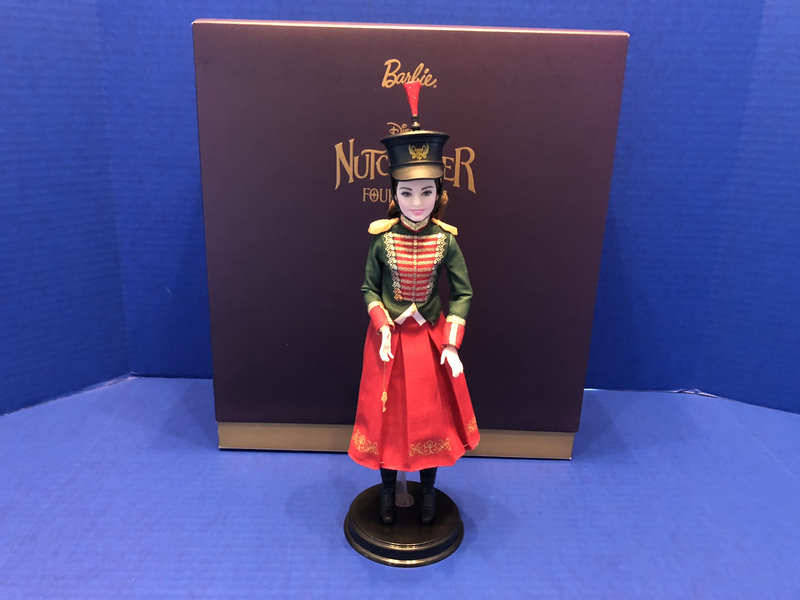 To celebrate the release of Disney’s holiday family adventure, The Nutcracker and the Four Realms, Mattel has launched a collection of four dolls through the prestigious Barbie Signature label. 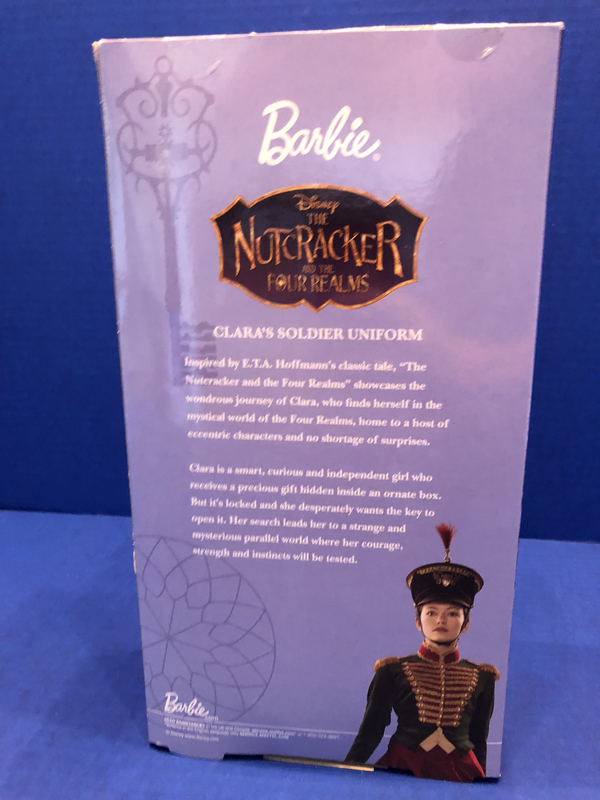 Fans of the film can bring home Clara in two outfits, the Ballerina of the Four Realms, and the Sugarplum Fairy. 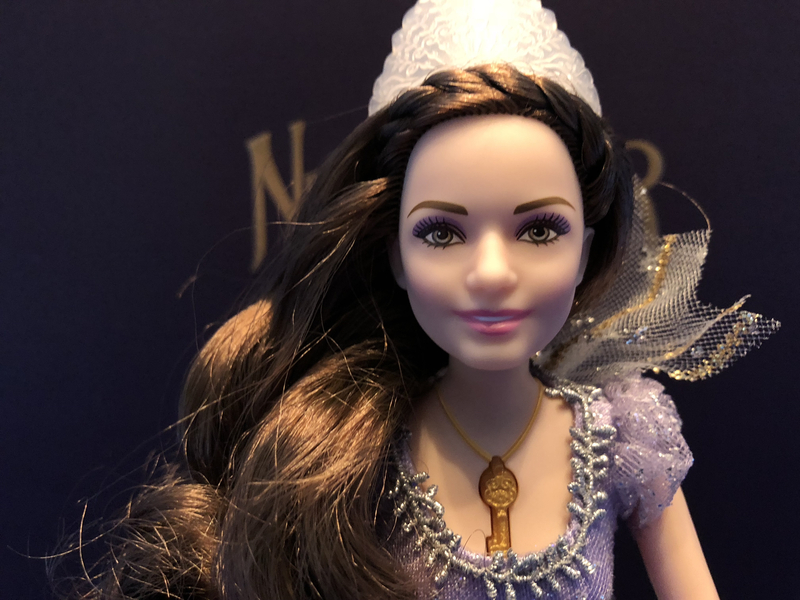 The dolls are modeled after the actors that bring the characters to the screen, Mackenzie Foy, Misty Copeland, and Kiera Knightley. 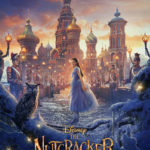 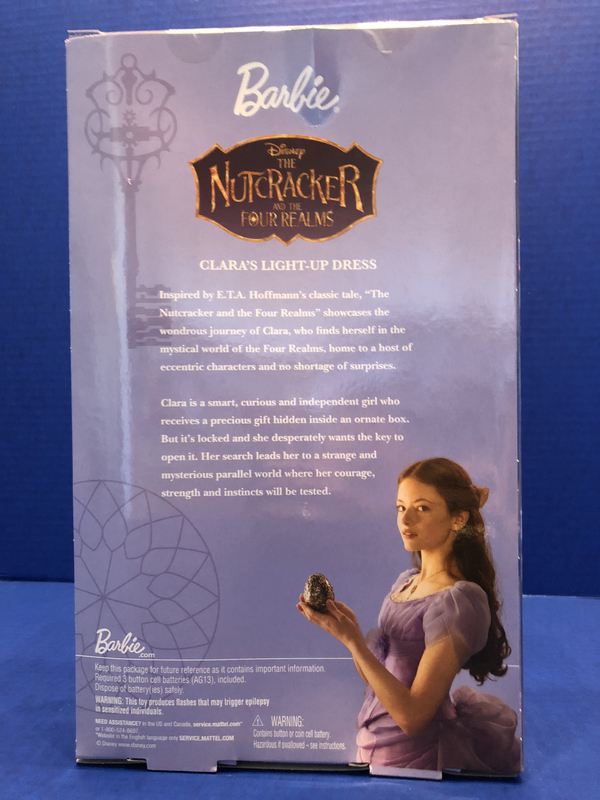 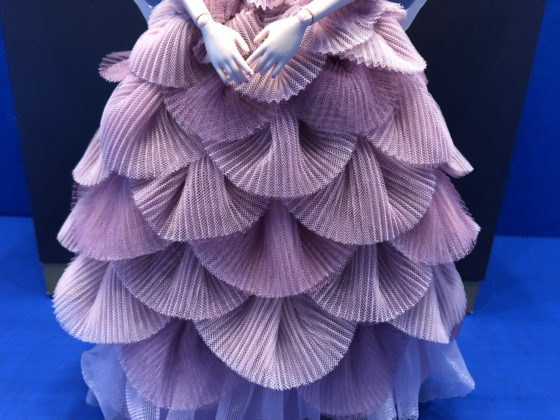 Clara’s Light Up Dress is inspired by Mackenzie Foy’s look at the end of the film, although the box confusingly shows the actress in her dress from Drosselmeyer’s Christmas Party. Glitter accents catch your eye, but pressing the key around her neck makes her dress glow and dim. She includes the egg that she received as a Christmas gift, the one that kickstarted her journey through the four realms to find the key that opens it. 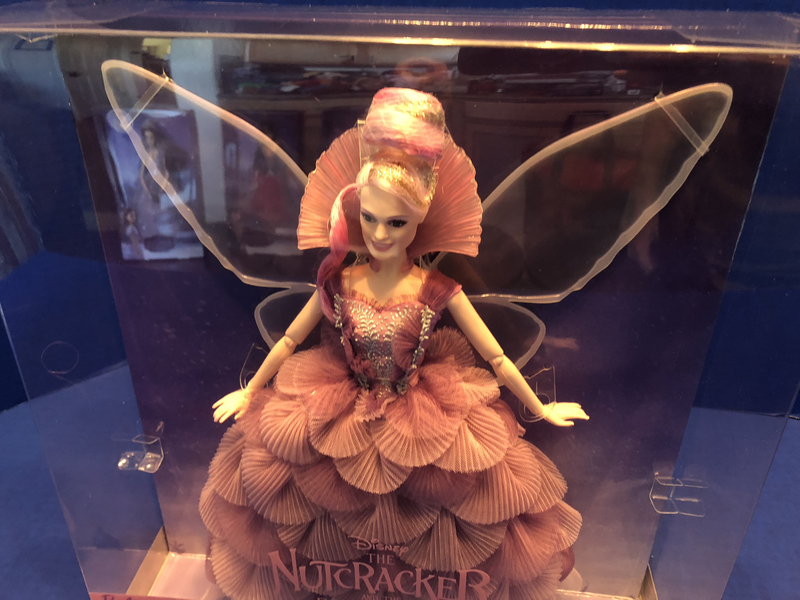 She has an articulated body that is the same mold used for Skipper. 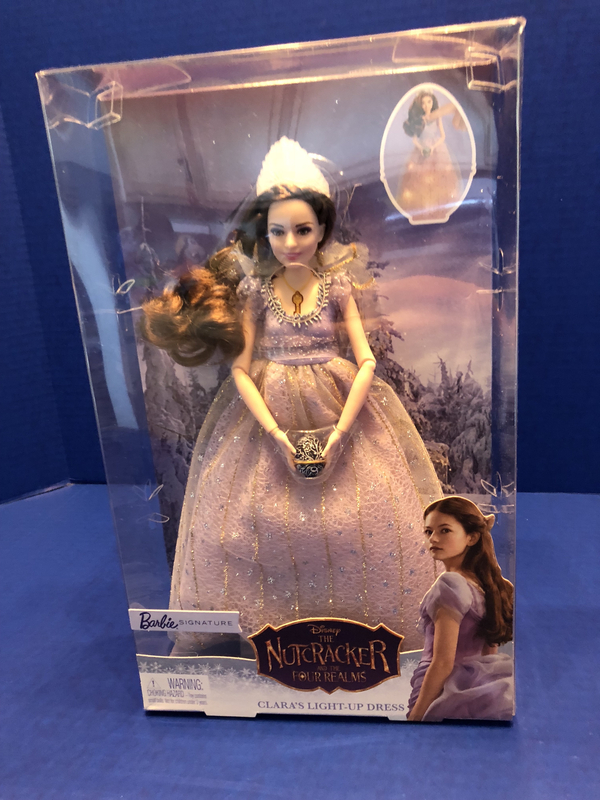 It’s a beautiful doll that looks just like Mackenzie Foy. Clara is ready for battle in her Soldier uniform, which is similar to a traditional nutcracker costume. Her tall plastic hat gives her confidence and her bodice features shoulder pads and gold accents. This articulated figure comes with a base so you can pose her for battle. Misty Copeland’s angelic performance lives forever with this doll, whose toes are eternally pointed down. 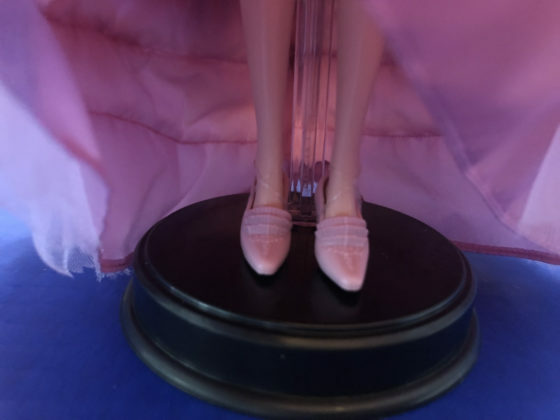 The included stand allows her to balance on her toes and be posed however you’d like. The bodice features gold stitching and her head is topped with an icy tiara. The most premium doll in the collection is The Sugar Plum Fairy, inspired by Kiera Nightly. This is the only doll in the collection with a maximum edition size (20,000) and has the highest retail price. 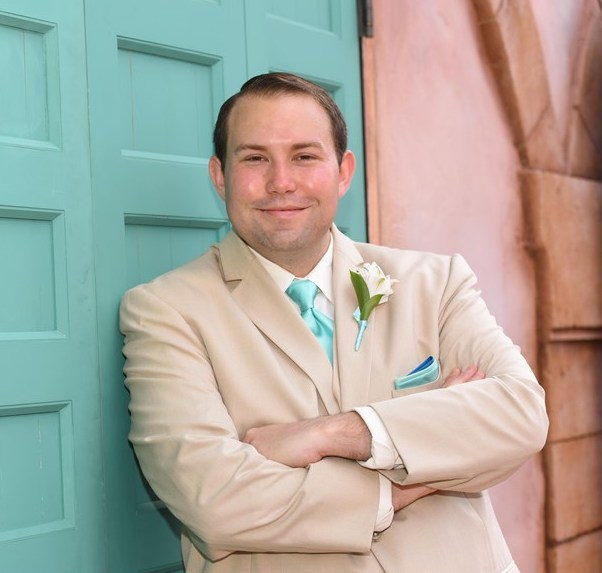 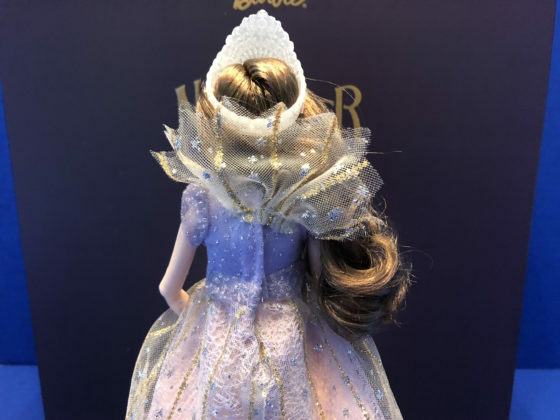 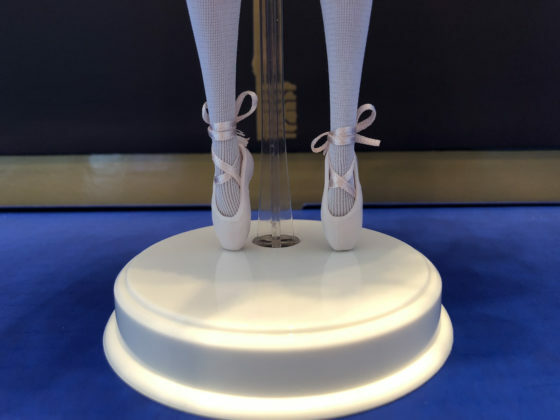 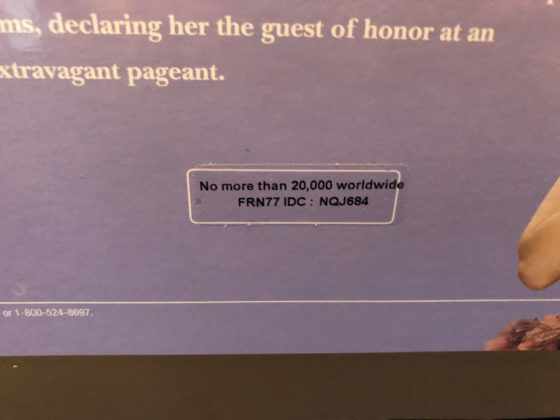 The quality is a few steps above the other dolls in the collection, with a higher level of detail used on the dress, face, hair, wings, shoes, and box. The dress is very intricate, with folded fans making up the majority of the skirt. 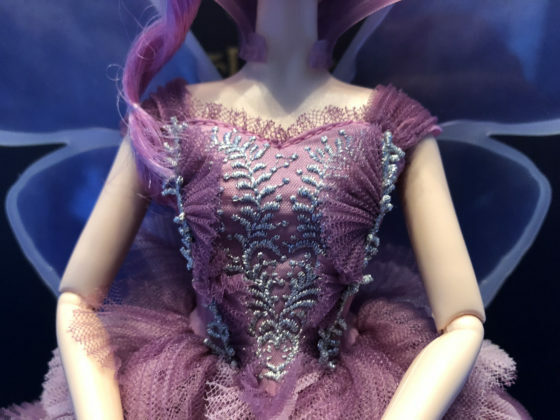 The embroidery on the bodice is lovely and the plastic cowl is attached to the dress. The wings are removable and feature amazing details, including vein texture. 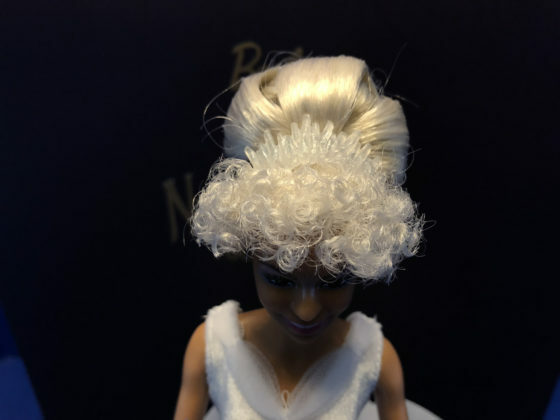 Her hair is uniquely styled, reminiscent of cotton candy with gold accents. 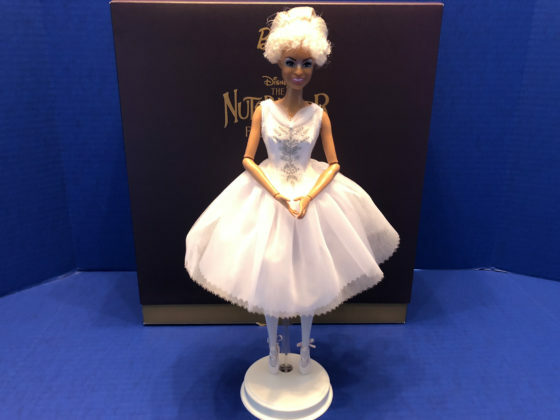 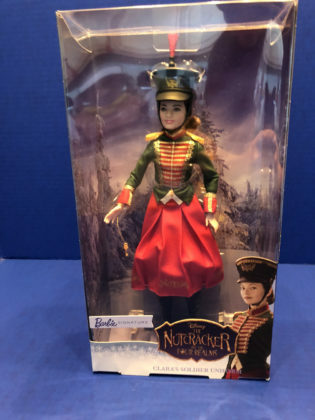 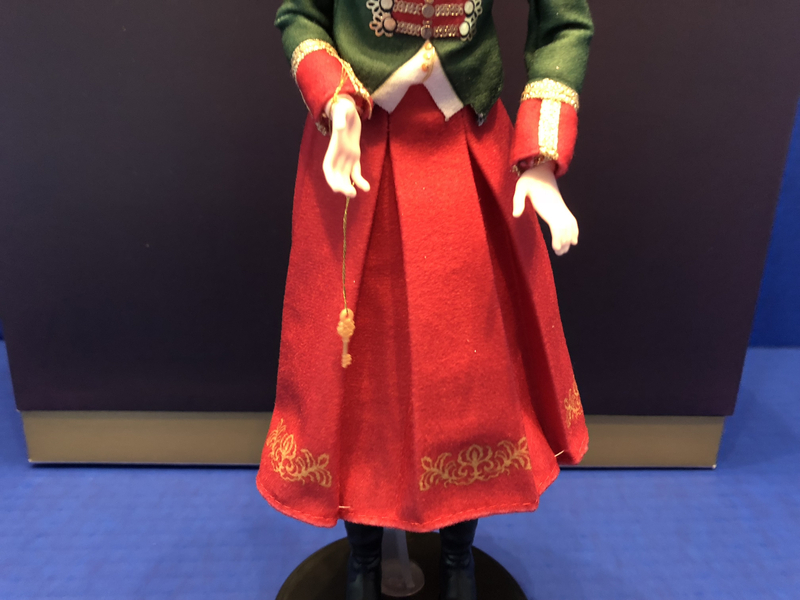 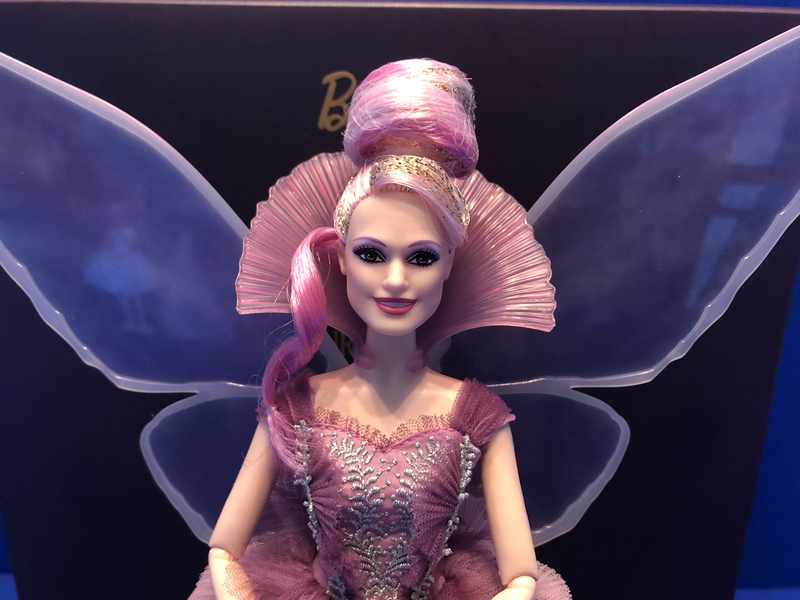 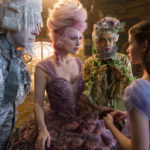 The Barbie Signature dolls inspired by Disney’s The Nutcracker and the Four Realms are now available for fans and collectors alike. 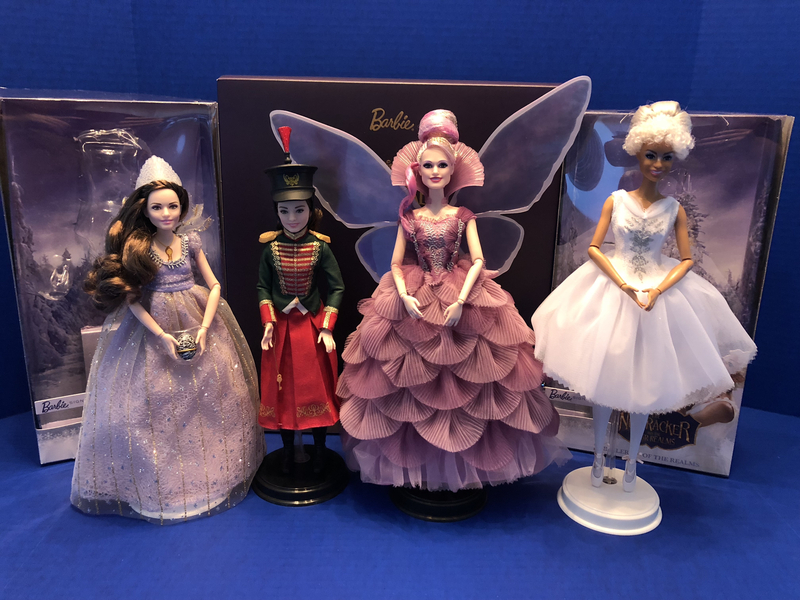 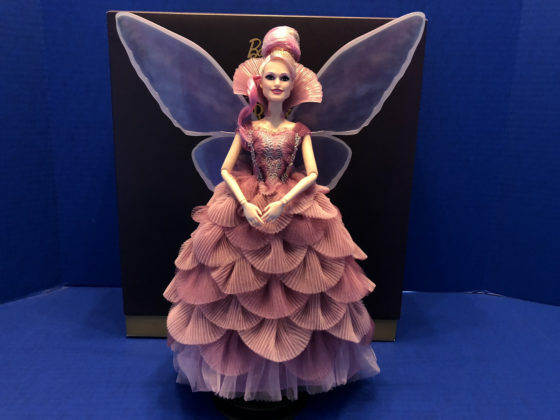 While the Signature label implies that these are aimed at collectors, all except the Sugar Plum Fairy would make fine toys for kids as well, although they have a higher price tag than most parents are willing to pay. 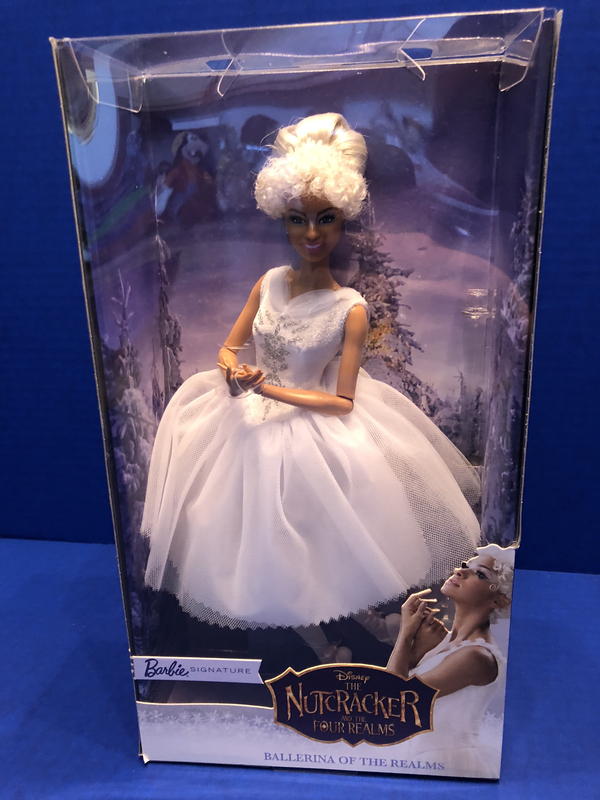 Fans of Disney and Barbie can also collect dolls inspired by Disney’s A Wrinkle in Time, in addition to an upcoming collection based on Mary Poppins Returns.